Welcome to Singapore Adi LCD Power Adapters online store: Adi Laptop power adapter, lapotp battery charger are high quality, powerful, can work on the device properly. You can choose a model you needed below, any question you can contact us( ). 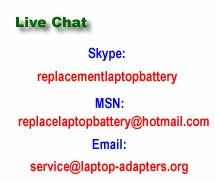 All the Adi LCD Power Adapters supplied by laptop-adapters.org are guaranteed that one year warranty, besides, 30 days money return. Fast delivery for all the products. Listed by Adi LCD Power Adapter.